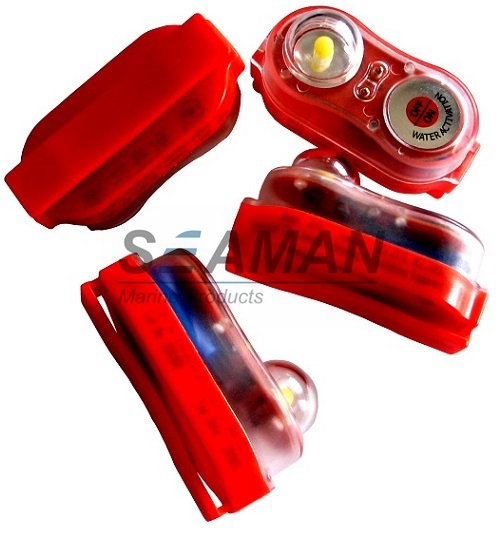 lifejacket lights is fit to use for all types of lifejackets and supplied with a fixing clip. The clip is normally placed behind a belt of lifejacket or fixed through the fiber near shoulder. The typical installation is shown as below picture. The user must ensure that the light could be attached securely and is in the correct position on the lifejacket to provide maximum visibility when the wearer is in the water. The lifejacket light of Type: YDI is in accordance with the requirements of MSC.81(70),MSC.200(80) “Testing of life-saving appliances” for the manufacture of white LED flash lithium battery of life,which is suited for lifejackets and immersion suit. the person wearing lifejacket is drawn in the water. the lifejacket light to emit a continuous flash when it is in water. 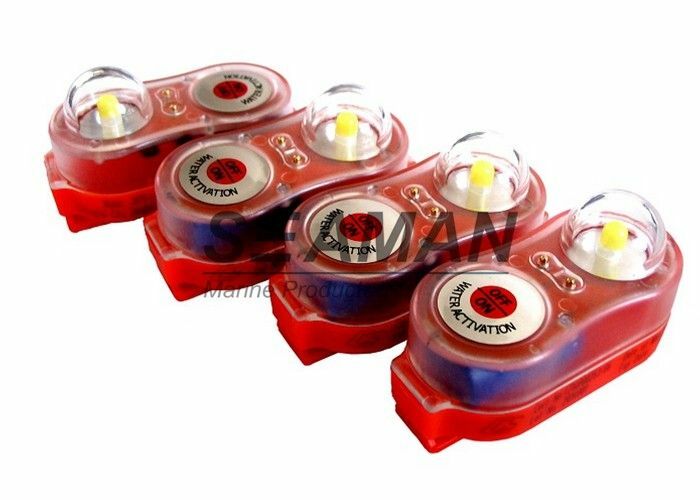 can touch water to active the 2 contact of water touch switch to light the lifejacket light.